Collagen is the primary component of the connective tissues in the body. As you age, collagen production starts to slow down, causing skin to become lax. Sagging skin throughout the body, including on the upper arms, can make you look out of shape even if you are fit, or make you appear older than you feel inside. Along with the natural aging process, excessive upper arm skin can also result from weight loss. Dr. Roger Oldham performs arm lift surgery at his Bethesda practice to help you achieve the toned upper arms you desire. Contact us today to learn more about how this and other body contouring procedures can benefit you. During your arm lift consultation, you and Dr. Oldham will discuss your body type, medical history, desired outcome, and available therapy options. Most non-smoking patients who are in good health and have excessive skin or stubborn fat deposits along their upper arms are good arm lift candidates. Many patients seek arm lift surgery and other body contouring treatments following massive weight loss achieved through bariatric surgery, dieting, and exercise. 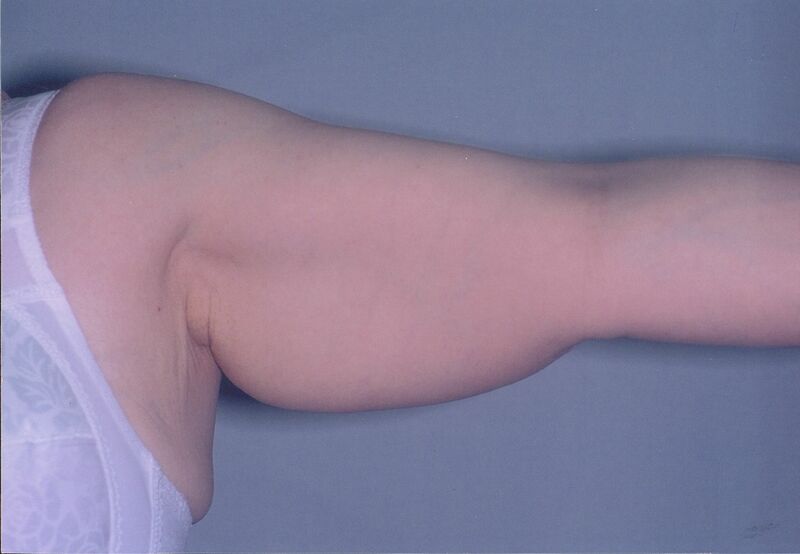 To help decide if this is the right treatment for you, we are also happy to provide before and after photographs of arm lift patients so you can better visualize how you will look after surgery. 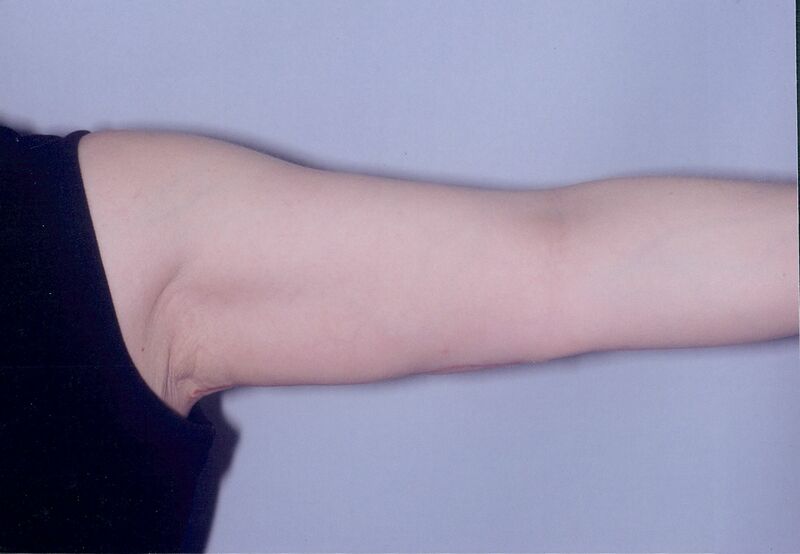 An arm lift takes about two to three hours. Before surgery, we will provide anesthesia to maintain your comfort. Dr. Oldham can make a vertical or horizontal incision at the arm, depending on which method can provide the best contours with the least conspicuous scaring. After making the incision, Dr. Oldham will lift the tissues into their desired position, and remove excess tissue. Finally, Dr. Oldham will close the incisions to retain the new position of your upper arm tissues and facilitate healing. For enhanced overall results, many patients choose to have an arm lift combined with a liposuction to remove excess fat deposits. Dr. Oldham will make small incisions and insert a cannula, a special tool used to suction fat from under the skin. This very thin tube is gently guided back and forth to break up and remove unwanted fat. As a highly experienced board-certified surgeon, Dr. Oldham has the refined skills to combine treatments that deliver the most nuanced and striking results. Following the procedure, most arm lift patients report minimal discomfort that diminishes quickly. Your post-operative care will include a simple visit to our office soon after surgery, and additional visits at Dr. Oldham's request. He will recommend a period of rest in which you should avoid any activity that places strain on your incisions. Patients can expect to wear a compression garment for a period to help minimize swelling. As Dr. Oldham monitors your progress, he will let you know when it is safe to resume more strenuous activity. A toned, well-proportioned arm can improve the entire appearance of your upper body. If you have been considering an arm lift to revamp your body image and sense of self, contact our offices today to schedule your consultation.